I would suggest for you to visit these places and stay a night at each place to experience the culture. 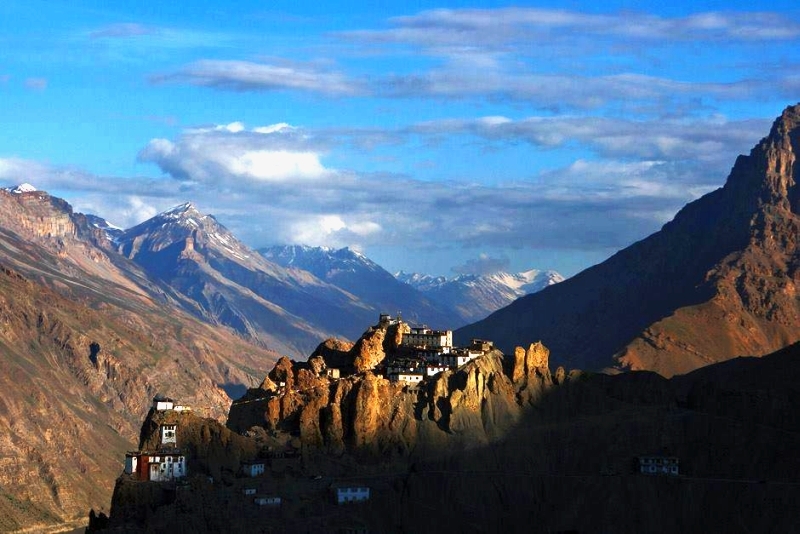 In Tibetan, gompa or gumbas mean a remote place which is a university associated with Tibetan Buddhism. 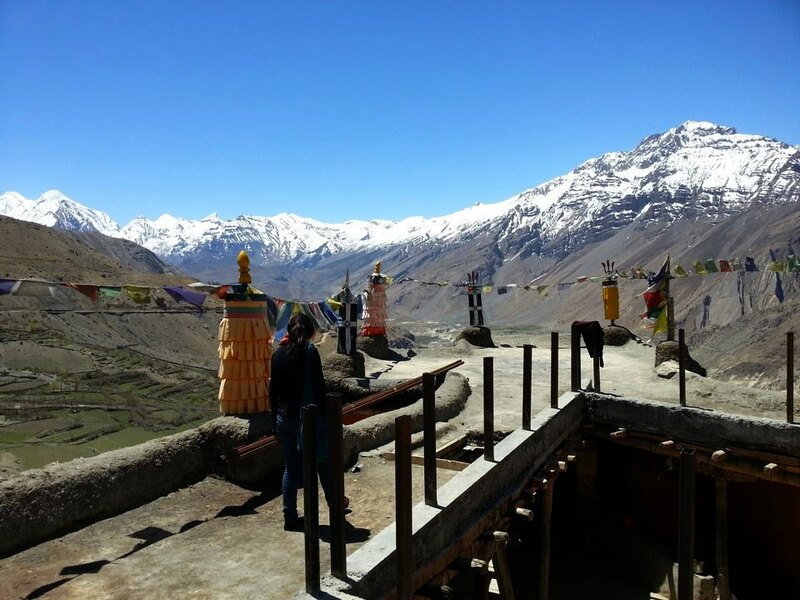 We reached Chicham village in about an hour or so from Kaza and walked down to the construction site. The last time we had come here was when we hitchhiked with a local doctor and his group of city friends. There were 5 or 6 of them and they knew what had to be done. Three of them held the trolley and me, Anunay and one of them were pushed to swing through the valley. But this time, there was only the three of us. Me, Anunay and a friend from Kaza. After subtle contemplation, we decided to just do it. Both the boys held the trolley and I sat down, waiting for them to climb in and whoosh we went swinging through the valley again, 14,200 ft above the ground silently ‘wheeee-ing’ and catching our breaths. A broken tractor lay there beneath us and we came to a halt in the middle. The rest of the way to the edge was to be handled by us. Both of them pulled through and we reached the other end. One mistake we did was forget to take water with us and I ran all the way into the village to get some since they both were dying of thirst. I found a drain of fresh or stale water(well, it didn’t matter then) and took it back. We swung through again and sat back in our car, still full of adrenalin and shivers. Do take a bottle of water, biscuits or so for energy revival if you plan to walk to the village or take rest. Take help from the locals if there are any and wait for them if you aren’t sure of doing it alone. (It has some technicalities like attaching a part of the rope to keep the trolley on your side). Drop the incoming rope outside from the trolley while pulling through. Fidget too much when inside the trolley or you might end up with the tractor down below. 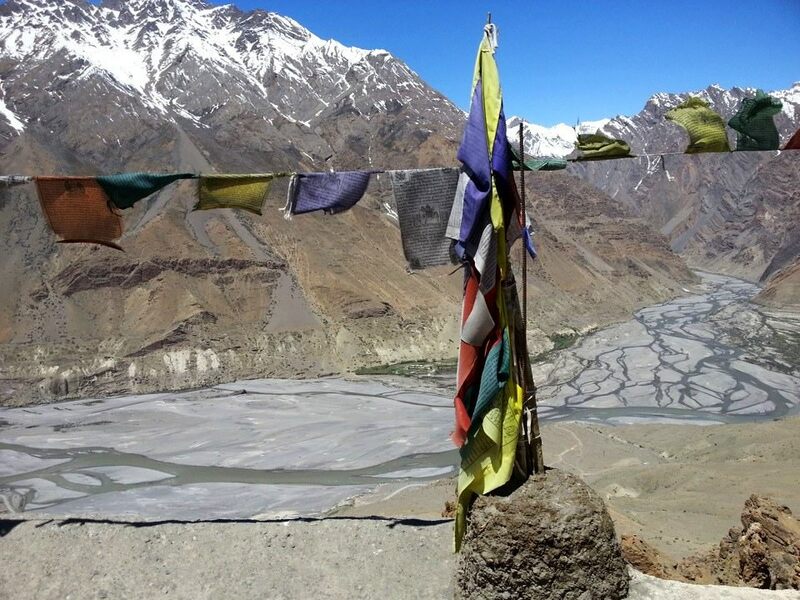 Let the rope touch your feet when on the edge as it might send you right into the valley. 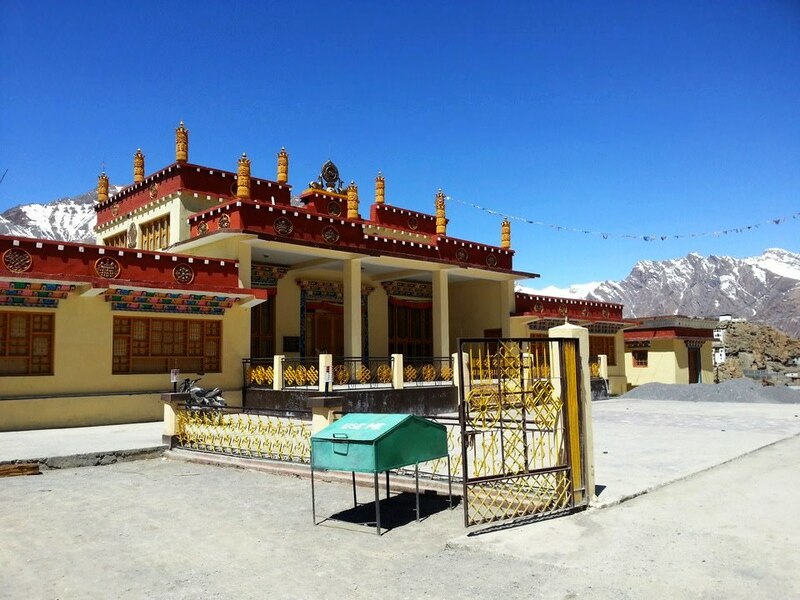 We ended our trip to this adrenalin filled excursion by visiting the beautiful monasteries and sipping on tea and munching biscuits in the canteens inside. 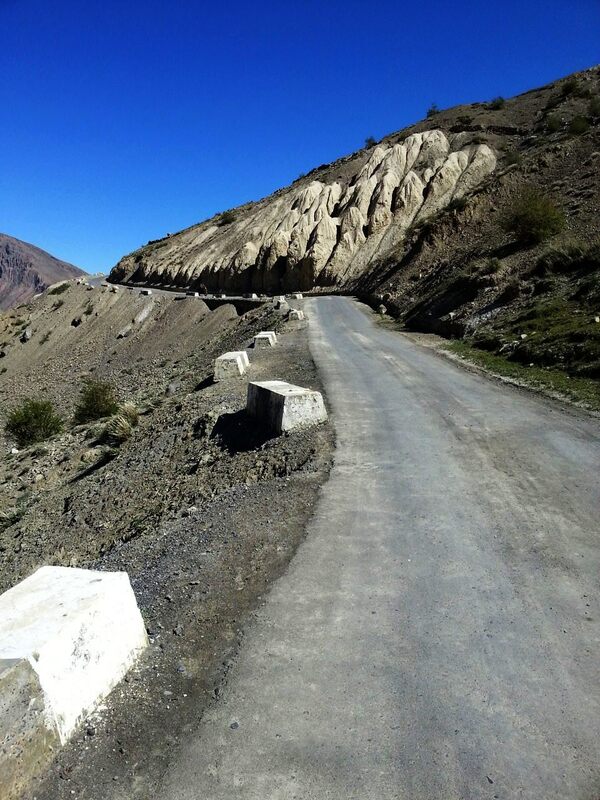 The road to Dhankar village comes in between Kaza and Tabo from Shichling. The bus dropped us off at Shichling and the village was another 8 kilometers from there. 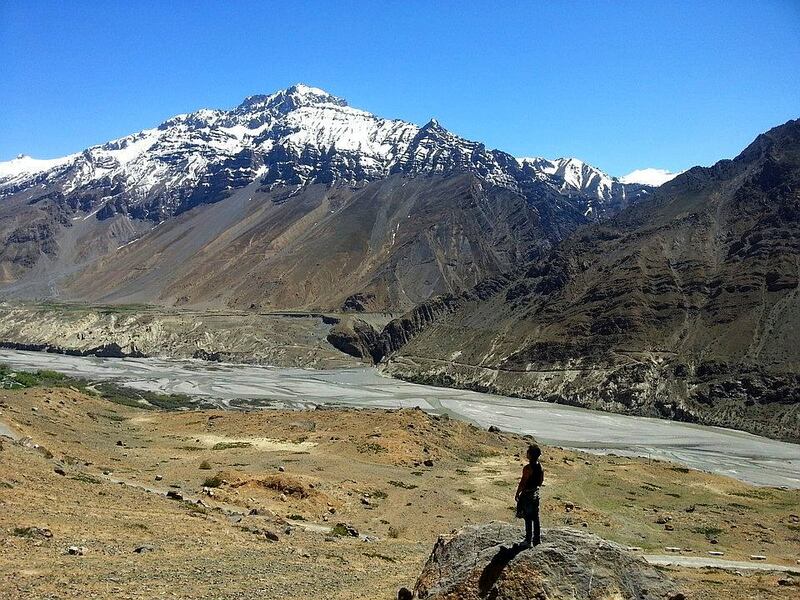 It was the first time we were in Spiti valley and were unknown to the harsh sun and mouth drying winds. We thought we would walk the 8 kilometers with some packets of chips and water. Now when I think back, its embarrassing to have felt so naively powerful. After a meager 1.5 or 2 km, we were hungry, cranky and getting way-too-extra tanned. Carrying our bags hurt and we couldn’t walk further without resting every ten minutes. We had to do something so we hid our bags under rocks in the middle of the road and started to walk the rest of the distance. Without the heavy bags, we were much better off and were quickly covering distance. Luckily we came across a local couple in a car and hitch hiked. The song that played in their car was a tibetan version of some English song we knew. We hummed along and reached the monastery in no time. The monastery is over 1200 years old and just that does something to you. We climbed up to the roof and there was an area on the edge where the roof was shaking as we walked and there was no foundation beneath the roof, just 12000 ft of thin air above the valley. Inside the monastery, Anunay’s head started to feel heavy and he just sat there for a good 5 minutes with his eyes closed, which is very unlikely of him. I was upset of not having felt anything like that but I concluded/rationalised that it’s all in what you believe or lack of energy because of the trek with no food. Whatever the case, just being inside the dim lit monastery with walls older than a 1000 years left me wondering about what all energies might have been stored up there. There is also a new monastery built right around the corner. 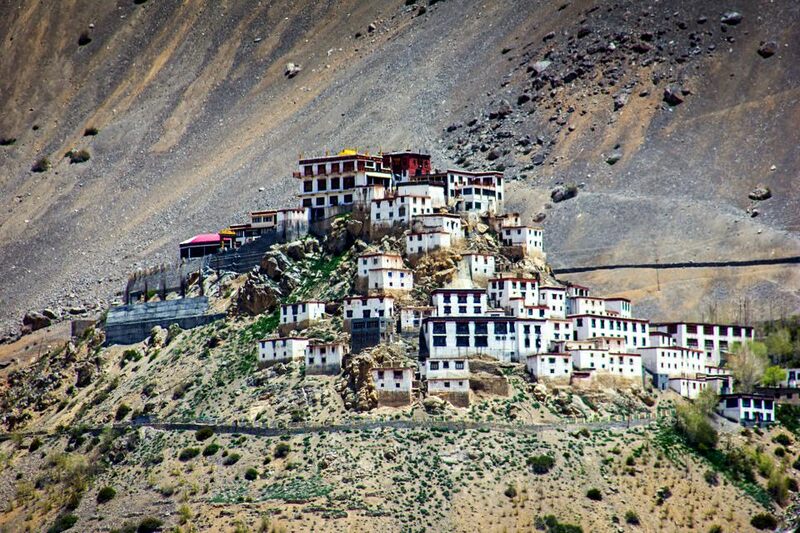 It was shut but we spotted the Dhankar monastery guest house beside it. We sat on the rooftop eating maggi and the delicious Spitian thali with monks sitting in the restaurant talking about the local affairs. The restaurant was attached to a guest house which was affordable with decent rooms. Anunay played the guitar, I took a power nap and we were ready to walk back to Shichling. 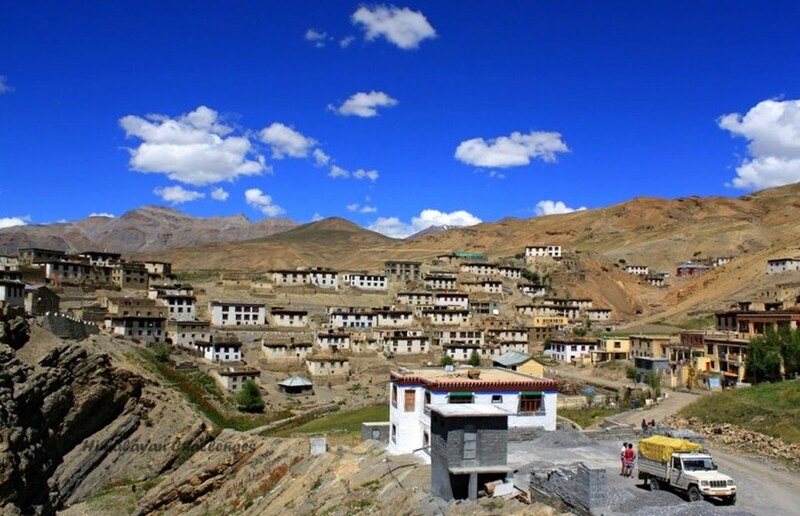 Chicham is a village on the way to Kibber, at a height of 14,200 ft and a 4.2 km from Kibber monastery. A detour to the village is great for adventure seekers and culturists. There is a bridge construction site on the way which leads to Chicham village. It has a rope way for the workmen and locals to commute. It is a great thrill for us city dwellers. 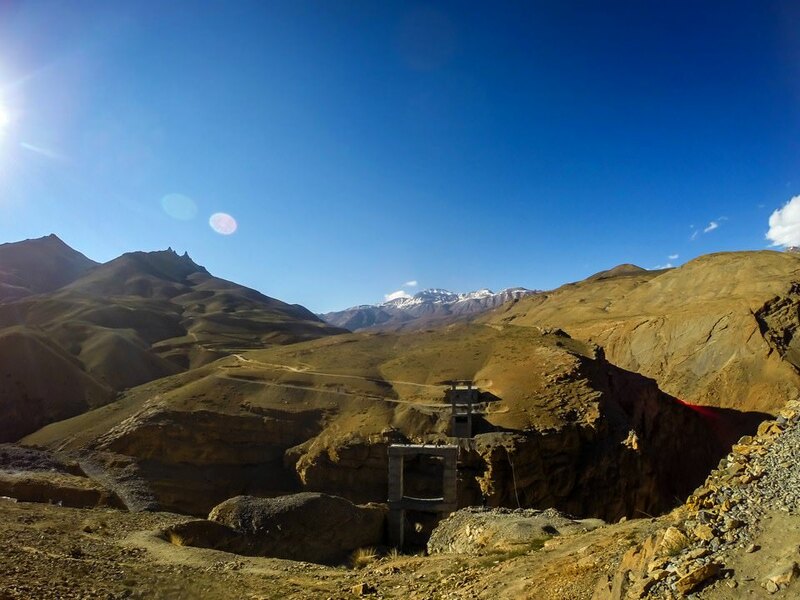 18.9 km away from Kaza and at a height of 14,200 ft, Kibber village is considered one of the highest villages of the world. 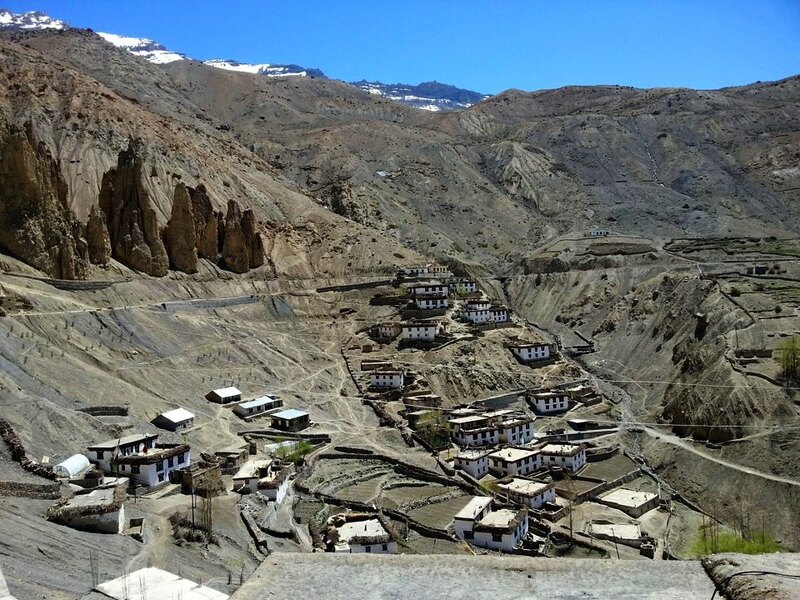 A must visit site for it’s monastery and wildlife sanctuary containing predators like Red fox and the Tibetan wolf. It is a rather civilized village with its own post office, high school, telegraph office and a shared community television set.